Need a New Car to Drive in Kenner, LA? Should You Get a Loan or a Porsche Macan Lease? People who drive SUVs overwhelmingly love this style of vehicle and can’t see themselves driving anything else. It may not be difficult to decide that you want a specific SUV, but whether you should buy or lease is another matter. 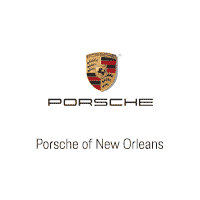 When you visit your local dealership to find your next SUV to drive in Kenner, LA, you can either check out a Porsche Macan lease or buy one with the help of an auto loan. Consider the advantages and disadvantages of each. When you choose a loan over a Porsche Macan lease, you can usually select the term. Most dealerships will offer payoff terms between 36 and 72 months. Once you satisfy the loan and pay it off in full, you own the vehicle outright and won’t have to make any other payments. You can take this money you’ll keep and put it toward maintenance and upkeep. With a loan, you will pay for the current value of the vehicle. This is unlike a Porsche Macan lease, where you’d pay for the amount the vehicle will depreciate over the next three years. This translates into higher monthly payments. You’ll also pay more in taxes and registration fees. If you choose to lease car after car, you won’t ever have to worry about expensive repairs in Kenner, LA. This is because your lease will have warranty coverage. Plus, because you’ll always have a new vehicle, it’ll have more reliability and higher performance. Once your lease expires, you can either return it and walk away, or you can purchase the same vehicle. You can even check out another Porsche Macan lease and get another new car. You don’t have to worry about finding a private buyer to sell to, unless you prefer this option. Be aware that with a lease, you can’t modify the appearance of your vehicle. You will also have mileage limits. If you exceed the restriction (usually 12,000 miles a year) and rack up the miles in Kenner, LA, you’ll have to pay a penalty. Don’t let shopping for a new car to drive in Kenner, LA, stress you out. Evaluate the pros and cons of a Porsche Macan lease and let the sales and finance team here at Ray Brandt Porsche lend their expertise.